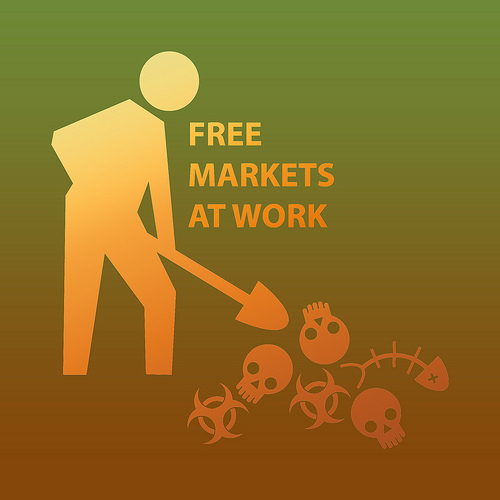 Contrary to claims by market fundamentalists, federal regulations are good for the economy. A draft report to Congress shows that the economic benefits outweigh the costs by a minimum of 4-to-1 and up to 10-to-1. All agencies incurred greater benefits than costs. EPA, The Department of Energy, and the Department of Health and Human Services incurred the greatest benefit to cost ratio. On 32 rules, the benefits of EPA ranged from $112 to $637 billion dollars versus $30 to $36 billion in costs. On 19 rules by the Department of Health and Human Services, the benefits ranged from $16 to $40 billion versus $2.4 and $5 billion in costs. 12 rules by the Department of Energy brought $8 to $15 billion in benefits at a cost of $3.6 to $5.5 billion.